It's "a literal interpretation of the Bodhisattva..."
Queens, New York outfit WIVES have shared powerful new single 'Waving Past Nirvana'. The band's debased, electronic-leanings recall post-punk and cold wave, while emphatically occupying a space of their own. With perhaps more in common with The Residents than, say, Joy Division, their bold sound is pinned down by lyrics that veer from absurdist humour to dense philosophical wisdom. 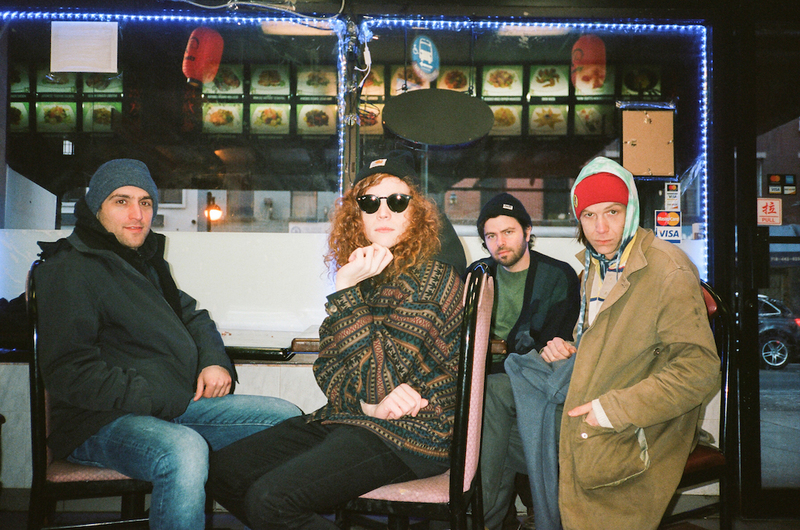 Snapped up by City Slang, WIVES will release a new two-part seven inch single on May 24th, and the first track is online now. 'Waving Past Nirvana' is all slo-mo synths, a chugging rhythm, and a leering vocal that actually references Buddhist philosophy. Frontman Jay Beach offers: "'Waving Past Nirvana' is a literal interpretation of the bodhisattva—one who has achieved the release, the awakened eye, and yet wants to trade it back for the painful life of desire because she/he/they predominantly feels compassion. This 'entering back into the world' to fight a fool's battle is the essence of 'Waving Past Nirvana', and the video depicts one young woman's journey along these lines."